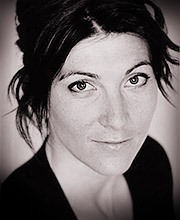 Eve Best graduated from RADA in 1999. Her theatre credits include Hedda Gabler for which she won Best Actress – Oliver Award and Critics’ Circle Theatre Award in 2005, Mourning Becomes Electra, Three Sisters, The Coast of Utopia, The Misanthrope, Macbeth, The Heiress, The Cherry Orchard and Tis A Pity She’s A Whore. She has also appeared regularly on TV in Prime Suspect, Vital Signs, Inspector Lynley Mysteries, Waking the Dead and Shackleton.